9:10 Industrial hemp and medical marijuana: the next big crops? Dr. Lisa House, is Interim Chair, and a Professor in the Food and Resource Economics Department at the University of Florida. She serves as Director of the Florida Agricultural Market Research Center. Dr. House holds a teaching and research appointment. She teaches classes in food and agribusiness marketing and management, survey research for economists, and comparative world agriculture. 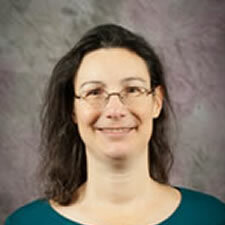 Her research interests focus on consumer preferences and demand for food products. Dr. House earned her B.S. in Food and Resource Economics from the University of Florida, followed by M.S. and Ph.D. degrees in Agricultural Economics from Kansas State University. 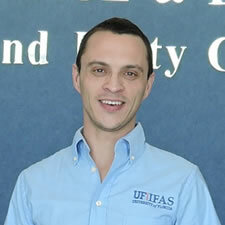 Dr. Zachary Brym is an Assistant Professor of Agronomy at the University of Florida Tropical Research and Education Center in Homestead. He holds a PhD in ecology from Utah State University with specialization in crop physiology and computational biology. His research and extension program explores how production systems can remain profitable while conserving natural resources and protecting the environment. His projects focus on the role of biodiversity and scale in agroecosystems, the distribution and management of invasive plant and pest species, and the impacts of management practices on crop production and environmental conservation. His work recommends data-supported adaptive management practices across commodities to address local and regional challenges to crop production. 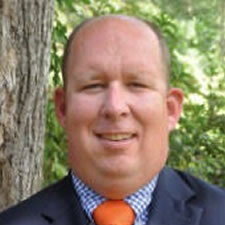 Jim Spratt is principal and founder of Magnolia Strategies LLC, a Florida-based legislative consulting firm. Prior to forming his own consulting firm to advise clients on legislative strategy, he was a legislative affairs staff member for the Florida Nursery Growers and Landscape Association. He was instrumental in the design of the vertically integrated industry structure in the medical marijuana law passed by the Florida Legislature. Dr. Andrew Muhammad is the Blasingame Chair of Excellence Professor at University of Tennessee, Institute of Agriculture, Department of Agricultural and Resource Economics. He brings considerable experience to his position, focusing on assisting agricultural decision makers in the evaluation of opportunities, policies, and programs on international trade. He conducts research and outreach activities that address the global needs of the agricultural sector. The overall aim of this program is to inform decision making by farmers, agribusinesses and policy makers on international trade and trade policy issues and attract resources to improve the competitive position of state and regional agriculture in global markets. 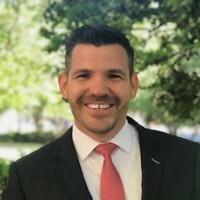 He previously served as Associate Director of the Markets and Trade Economics Division at Economic Research Service in the U.S. Department of Agriculture (2016-2018). 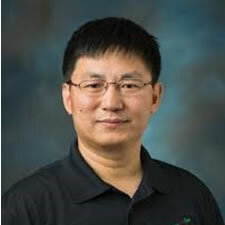 Dr. Zhengfei Guan is an Assistant Professor at the University of Florida, Gulf Coast Research and Education Center in Balm, Florida. His research focuses on trade and labor policy issues. In the last few years, he has worked closely with the industry to address major industry challenges faced by Florida fruit and vegetable growers. His research and extension materials have been presented to the White House and various other officials. His work has been widely applauded by the industry and he has recently received the Public Service Award by the Florida Strawberry Growers Association (FSGA). 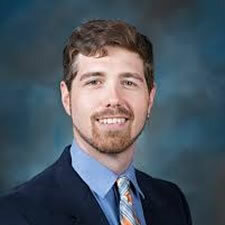 Adam Basford is Director of State Legislative Affairs at Florida Farm Bureau Federation. His experience in the agricultural industry began at an early age, growing up on a family farm, and being involved with agricultural issues his whole life, which instilled a desire to be a strong advocate for farmers and ranchers. His goal is to impact public policy in a way that benefits the agricultural industry. John Walt Boatright is National Affairs Coordinator at Florida Farm Bureau Federation, and has served in the role since May 2017. He handles most federal legislative and regulatory issues that affect Florida agriculture on behalf of the Federation’s 147,000 member-families, specifically trade, labor, sugar, and Farm Bill policies. In addition, John Walt manages congressional affairs for Florida Farm Bureau, establishing working relationships with Florida’s 29-member delegation in Washington, DC. In 2013, hr graduated from the University of Florida with a Bachelor’s degree in Food and Resource Economics and a minor in Agricultural and Natural Resource Law. Gary Wishnatzki is owner of Wish Farms, a third generation family farm based in Plant City, Florida, and founder of Harvest CROO Robotics. In 1987, he opened G & D Farms, which later became Wishnatzki Farms. In 2002, the farm began producing and selling frozen strawberry products, and in 2005 was the first to offer organic strawberries grown in Florida on a commercial scale. In 2010 the company was rebranded as Wish Farms. The company is the official sponsor of the Florida Strawberry Festival’s Soundstage for concert performances. In efforts to solve the farm labor shortage, he founded Harvest CROO Robotics in 2013, developing an automated strawberry picker. 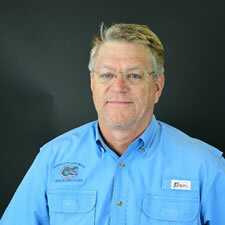 Jim Fletcher is a Regional Specialized Extension Agent at the University of Florida, Mid-Florida Research and Education Center. His research focus is on developing the use of drones and sensor technology including IR, Thermal and LIDAR to determine irrigation demands and scheduling, as well as potential nutrient loading in plants. Fletcher's program focus is on using water-conserving technologies and techniques for urban and agricultural landscapes; irrigation system management; water conservation in the home and built environment. He seeks to build partnerships with municipalities, counties and state government to work on water policy, and builds positive working relationships between regulators, the environmental community, the agricultural community, and the public. 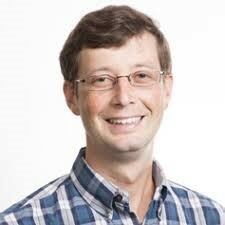 Dr. Jason Evans is an Associate Professor of Environmental Science and Studies and Faculty Director for the Institute of Water and Environmental Resilience at Stetson University in DeLand, Florida. He is a geo-spatial and systems ecologist by training. 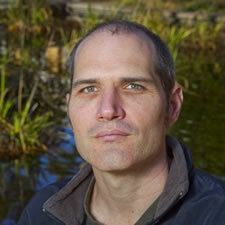 His research focuses on sea-level rise and climate change adaptation in the southeast United States. In recent years he has advised and worked with numerous local governments throughout the southeast U.S. to develop scenarios about ecological and economic impacts of sea-level rise. He serves as Co-Editor-in-Chief for the Journal of Environmental Management, a leading international publication in environmental science, engineering, and planning. Dr. H. Dail Laughinghouse IV is an algae specialist at the University of Florida, Agronomy Department in Fort Lauderdale, Florida. He works in both basic and applied algal research from tropical to polar regions in marine, freshwater and terrestrial environments. His background includes systematics, ecology, harmful algal blooms, cyanotoxins, phycoremediation, biofuels, and metagenomics. His current research focuses on diversity and toxicity of cyanobacteria, environmental influences on macroalgae and microbial photoautotrophs, novel uses for algae, bioremediation, and bioactive compounds. Research on testing different algal treatment methods with the industry is ongoing. 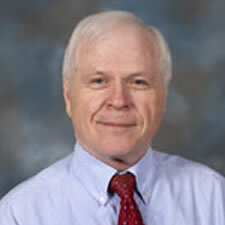 Dr. Rod Clouser is a Professor and Associate Chair in the University of Florida Food and Resource Economics Department. 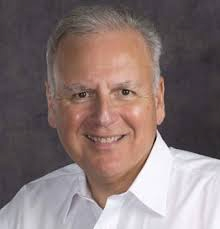 He received his Ph.D. in agricultural economics from Purdue University in 1979 and served two years as the Indiana state economist prior to joining the University of Florida faculty in 1981. He served on Governor Graham’s Taskforce on the “Future of Agriculture in Florida”, and has advised numerous state agencies. He has testified to legislative committees on taxation, land use, growth management and the importance of agriculture in Florida. 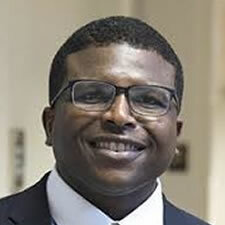 He is a Senior Fellow with the Florida Association of Counties, serves as the University of Florida-IFAS representative to the Florida Rural Economic Development Initiative and the Southern Program Leadership Committee on Community Resource Development for 13 Southern states. The mission of University of Florida/IFAS Gulf Coast Research Center (GCREC) is to develop and share new science-based information and technology that will help Florida's agricultural industry compete in a global marketplace. UF/IFAS researchers and scientists work diligently to maintain and enhance the quality of Florida’s natural resources and agriculture. The researchers, which specialize in different disciplines, work on a variety of ever-changing projects—from breeding new disease-tolerant fruit and vegetable varieties to developing new treatments to control weeds. GCREC also has a distance education program, which offers several undergraduate and graduate degrees, located in nearby Plant City. The University of Florida/IFAS Gulf Coast Research and Education Center is a 475-acre facility located in the heart of Hillsborough County. GCREC features working research fields and state-of-the-art clean housing and laboratory facilities. Our center also offers housing for graduate students and student interns. From I-75 north or south, take Exit 246 and merge onto Big Bend Road/CR 672 East towards US 301. Turn right onto US301/CR672, and travel 1.4 miles. Turn left onto Balm Road/CR 672 for 7.5 miles. The center is located on the south side of Balm Road.